Here are three books you absolutely want to put into your middle grade library this year! 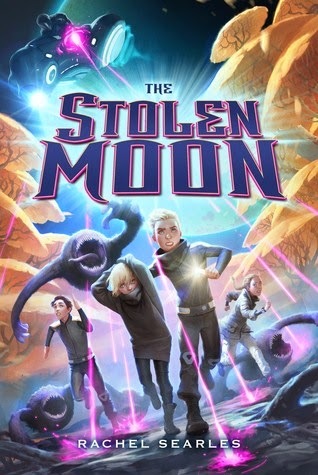 Stolen Moon is an excellent science fiction novel for middle grade readers who like action packed adventure. We have a little more action for the girl characters in this one... but I'd still like to see that increase in book three. Students who enjoy space science fiction will definitely find a new and beloved home in this world. I know quite a few students who live with Ava's level of anxiety every day. For gifted kids, heightened sensitivity and an understanding of the problems in the world around them make this a fairly common trait. This character, and her voice, rang clear and true in my head. Shall I confess to being one of those highly anxious kids myself? I was absolutely Ava. I loved how Ava has a more outgoing, risk-taking friend. I love how her family is still there for her, and supports her. I love how Ava learns how to use her pencil, and makes her decisions about WHEN to use it. Kids will identify with her "don't ask if you can Google it" rule! My own acrophobia twinged me multiple times while Ava was on her adventure course, which added to the excitement. Kids will love vicariously experiencing her courage as she faces her fears. When I try to get into a discussion about good and bad choices with my students, I really want them to dive into more of a debate about ethics. They tend to stay more on a surface level. This tale gives numerous opportunities to discuss choosing in the grey areas. Another common concern among my students is teaching them how to take reasonable risks. Perfectionism and anxiety lead so many of them to be highly risk-avoidant. Watching Ava learn how to step outside her comfort zone will be a great example, and could spark excellent discussions. 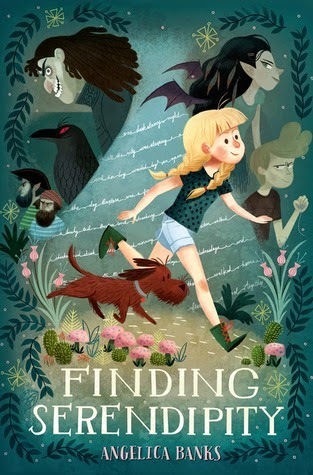 When Tuesday McGillycuddy and her beloved dog, Baxterr, discover that Tuesday’s mother—the famous author Serendipity Smith—has gone missing, they set out on a magical adventure. In their quest to find Serendipity, they discover the mysterious and unpredictable place that stories come from. Here, Tuesday befriends the fearless Vivienne Small, learns to sail an enchanted boat, tangles with an evil pirate, and discovers the truth about her remarkable dog. Along the way, she learns what it means to be a writer and how difficult it can sometimes be to get all the way to The End. 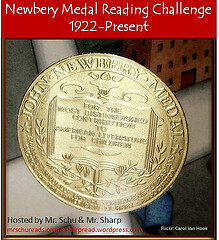 Here's the book you want to get into the hands of your book lovers; your writers; your dreamers. Tuesday is a budding writer, and she dives into the world her mother created with gusto. I was just having a discussion a few days ago with my third grade reading group. Several of them wanted to share the details of the books THEY are writing, and I just can't wait to get this book into their hands! I absolutely love the idea that writers end up in another world when they are creating. The Librarian in that world is a delight! The dining room in the library was so creative. I wish I had someone who laid out the foods I would need for just the right situation. I also loved the fact that this middle grade heroine was able to find adventure and excitement without needing to be an orphan or have parents who treated her poorly. Tuesday's family is loving, warm, and supportive. Since she is writing in her mother's world, you could introduce the idea of creating stories with the characters others have created. 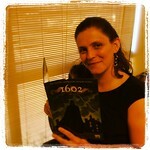 Maybe you can even get some more reluctant writers to dive into their favorite worlds? What would your "secret self" look like in this other world? Would you have wings? Special powers? 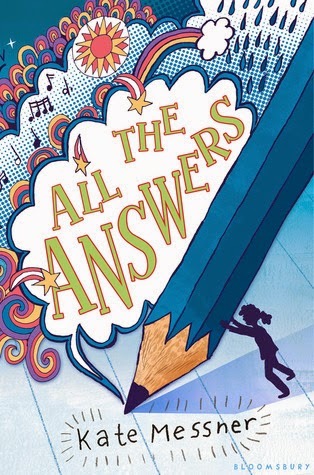 What amazing middle grade books have you discovered lately?